In late summer each year, the Rifftides staff photographer puts a camera in the bike bag and heads out to orchard country to see how the apples are coming along. It seems there will be a crop. Some apples are taking on color sooner than others. 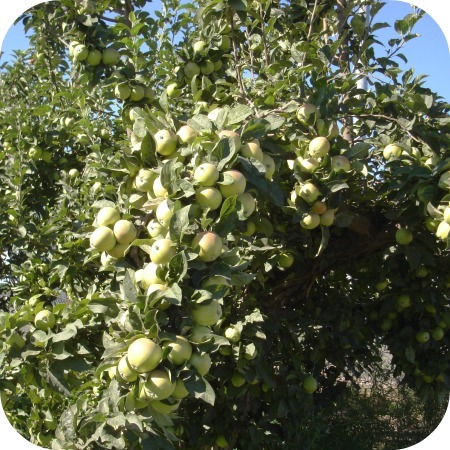 Most peaches have been harvested, but there are exceptions in the higher elevations. 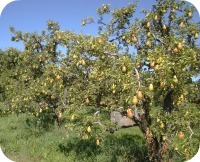 And, then, there are the pears. 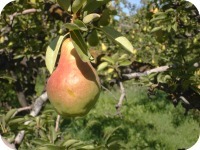 In six weeks or so, that gorgeous fruit will begin showing up in your neighborhood grocery store. Do I miss New York (and all those other places)? Well, yes, but there are compensations. I just might show up there some year, Jim. I’m partial to all things apple. After all, I grew up in The Apple Capitol of the World (and the buckle of the power belt of the Great Northwest).